Films that are abrasive to the retina's are to come by. We have Gary Oldman's debut, Nil By Mouth, which is as explosive and corrosive as you'd be led to believe by looking at some of his roles. Just as a great actor released a brutal film that never compromises quality, Kim Sønderholm has done the same. 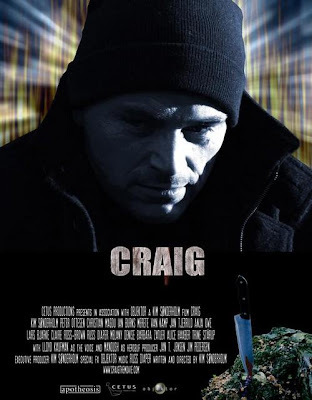 Craig is a film chronicling the spiral descent of a man who is very much like many of us. Craig's parents were killed in a house fire that left his sister comatose. Unable to cope with the weight of the world, people begin to abuse Craig's kindness till he falls into withdrawal madness. Craig is relatable to most. Being frequently cast out of society, women use every attempt to walk all over him which leads to much sexual frustration and confusion. Craig is a film that surprises, scene after scene. Craig rises above the norms of a drama and incorporates surrealism, black humor, and chronic drug use & addiction. Every film now-a-day's has a cameo from Lloyd Kaufman, and Craig makes good use of the goofy Jew by using him as his subconscious weatherman. A distinguishable feature in Craig is the shared emotions. These horrible things committed to Craig, only drive you into fits of panic and frustration. Our anti-hero Craig, can be noted as a socially inept version of the Butcher from I Stand Alone, except for the vulgarity. Craig could be seen as misogynistic, due to it's blatant attacks on women. This would be a preconceived notion upon reading the summary, but if you look at "the big picture", It's used in a poetic context. 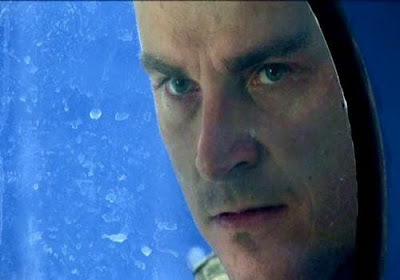 On a technical note, Craig features wonderful cinematography that is occasionally disrupted with an increasingly edited drug binge scene. The score is a pulsing beat that takes on it's own flesh form and the soundtrack is enough to make any industrial fan or foreign metal fan squeal. The soundtrack resonates youth, which is something that is not awarded often. With Kim Sønderholm proving his worth as being an incredible method actor, it's congenial to see him being successful as a director. At scenes, his face contorts into a diabolical expression worthy of Lou Ferigno's role as The Incredible Hulk (Circa 80's.) Craig is raw; purely nihilistic and devoid of a single positive emotion. 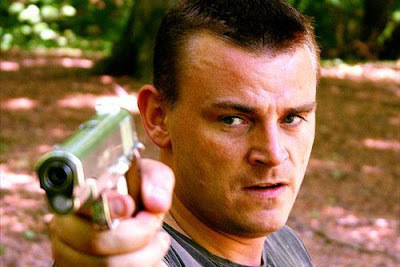 We live in a hostile world and Sønderholm's Craig is a testament to that.